Marisha Pessl’s well-received 2006 debut, Special Topics in Calamity Physics, is a murder mystery and conspiratorial political thriller hidden within a winning Bildungsroman. But it also makes a strained and unsuccessful attempt at clever lyricism in the manner of Nabokov, even to the point of borrowing the multi-lingual master’s lepidoptera. Fortunately, readers who struggled with the inertia generated by Calamity Physics’ leaden metaphors (e.g., “[My heart] thrashed like an octopus thrown to the deck of a ship”) will be happy to learn that with Night Film Pessl has jettisoned her first novel’s overwrought style for a picaresque horror tale that demonstrates above all her obvious strength as a storyteller. Though Night Film is about 600 pages long, it demands to be read in just a few days. It fulfills those classic criteria of a good thriller: you will not be able to put it down, and you’ll stay up as long as it takes to finish it. Anyone with a long flight, endless commute, or a week at the beach ahead of them should equip themselves with Night Film. The book’s narrator, hard-boiled investigative journalist Scott McGrath, acts as the reader’s breathless surrogate in uncovering clue after clue—and mystery after mystery—related to the reclusive and sinister horror filmmaker, Stanislas Cordova, and the apparent suicide at twenty-four of his brilliant, beautiful, piano-prodigy daughter, Ashley. McGrath has already tried to expose Cordova, which resulted in a slander suit that cost him his career and his marriage. But when Ashley turns up dead in an abandoned warehouse in Chinatown, McGrath re-commits himself to searching for the truth about Cordova. He acquires two sidekicks for his quest through a phantasmagoric Manhattan and environs: Hopper, a troubled and morose young drifter who loved Ashley when they were both teenagers, and Nora, a pert nineteen-year-old aspiring actress just arrived in New York City from Florida with enough colorful family history, outlandish clothes, endearing habits, and moral heroism to merit a novel of her own. Though Cordova’s is a credo of personal liberation, McGrath chases pervasive hints that the director purchases his artistic freedom at the price of others’ lives, whether those of his actors (whom he may be forcing to endure in reality his films’ horrific fictions), his neighbors at his upstate New York compound (who testify to strange occurrences including an odd smell in the air when Cordova burns his garbage), and even his daughter (who, in the novel’s most fantastical implication, may have been part of a literal devil’s bargain guaranteeing the filmmaker’s artistic inspiration and success). 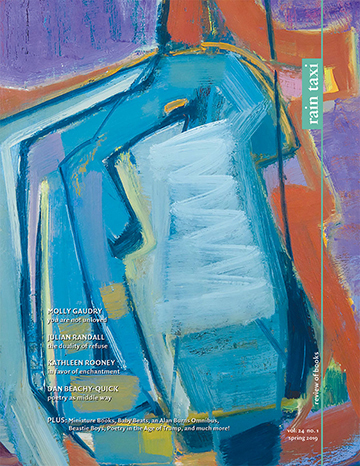 But McGrath’s obsessive pursuit of Cordova comes to resemble Cordova’s own obsessive pursuit of his art, a sophisticated mirroring that undoes the novel’s ostensible moral binarism and grants it a thematic complexity its beach-read pace might not have lead one to expect. In addition to McGrath’s swift narration, Pessl also parcels out information about Cordova through interpolated excerpts from McGrath’s case notes, police and medical records, and Internet sources such as the New York Times and Vanity Fair as well as the black sites where the Cordova cult gathers information about the mysterious genius. Pessl and her design collaborators especially excel at mimicking the ephemera of the Internet, down to the inane spats in the comments sections and the fear-mongering clickbait headlines (“5-Hour Energy Could Kill You”). This device not only lets the reader participate in collecting clues, but more importantly replicates the very contemporary sensation of titillating paranoia that comes from following a sinister news story across the wilds of the screen until your eyes ache. 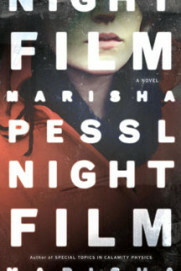 Some of the novel’s early reviewers charged Pessl with mere postmodern gimmickry for using faux-Internet texts, but in fact this technique decisively places Night Film in the Gothic and thriller traditions, which have juxtaposed archaic mystery with up-to-date communication technologies at least since the epistolary structure of Frankenstein (1818) and the documentary mode of Dracula (1897). “Nora,” I whispered, walking straight into the woods. When I found the fallen log, I stopped dead. The branches and dirt had been thrown aside. And the canoe was gone. This kind of formulaic writing undermines Pessl’s premise about the transcendent potential of art because it fails to be a convincing literary correlative to Cordova’s visionary filmmaking. Night Film’s stylistic deficits therefore prevent Pessl from fully realizing her own Cordova-like world of aesthetic intensity beyond our mediated culture. That the thrill of the novel’s plot, the charm of its characters, and the provocative seriousness of its themes very nearly make up for this flaw testifies nevertheless to Pessl’s abundant talent and intelligence. The suspense, then, is not just in her novels but also about them: one can’t wait to see what she’ll do next.